Aviation has made leaps and bounds in technology in the past 120 years, from wood-and-paper aircraft to piston engines to jet airliners. No doubt the Wright brothers would hardly recognize the aircraft flying in modern skies! 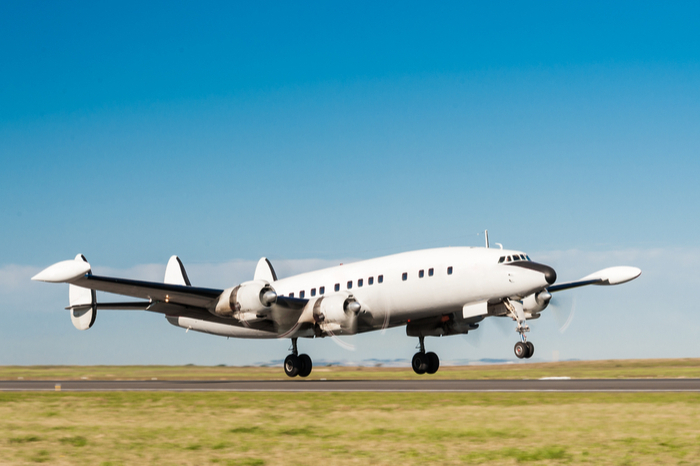 Here at Sergeant Oil & Gas Co., we’re proud to serve as one of the most reliable distributors of high-quality Avgas 100LL in the world, continuing the legacy of aviation by fueling piston-engine craft of all sizes. As some of the earliest engine types, piston-engine aircraft have a history all their own. When World War I reared its ugly head, relatively simple piston aircraft became an integral part of the war effort as scouts, fighters, and bombers. After the war, however, entrepreneurs saw the possibilities for air travel. Chaos in post-war Europe (especially for train travel) meant schedules were difficult to keep, leading to the development of many airports near major cities. Two different types of piston-engine aircraft were modified for passenger flights: in-line engines with necessary radiators and circulation of liquid coolant, and radial engines that radiated heat into the airstream to keep cool. The biggest aviation headlines belonged to fliers that challenged Atlantic and transcontinental distances. One such trip was accomplished by RAF pilots John Alcock and Arthur Brown, crossing the Atlantic nonstop in 16 hours 28 minutes. The horrors of war nevertheless led to a host of technological advances in aviation. After the war, high-octane avgas was formulated to power ever-increasingly powerful engines. In the United States, the Convair twin-engine aircraft led the way in small-to-mid airlines in the late 1940s and early 1950s with a fully pressurized cabin and cruising speed of 280 miles per hour. US flights across the Atlantic invariably included fueling stops in Newfoundland, Iceland, or Ireland, but in the 1950s, that changed with the Douglas DC-7 and the Lockheed Super Constellation. By 1958, the majority of US passengers chose to fly instead of taking ocean liners to cross the Atlantic. Private piston-engine airliners enabled middle-income families and individuals nearly limitless travel potential. Until the invention of the jet engine in the late 1960s, the piston-engine aircraft was the vehicle of choice for airlines across the country and the world. Today, the piston-engine aircraft is enjoyed by pilots of all ages, and they all rely on high-quality avgas. Rely on Sergeant Oil & Gas Co. for the best Avgas 100LL on the market. Call us at (713) 266-5778 to speak to an aviation gasoline specialist today!